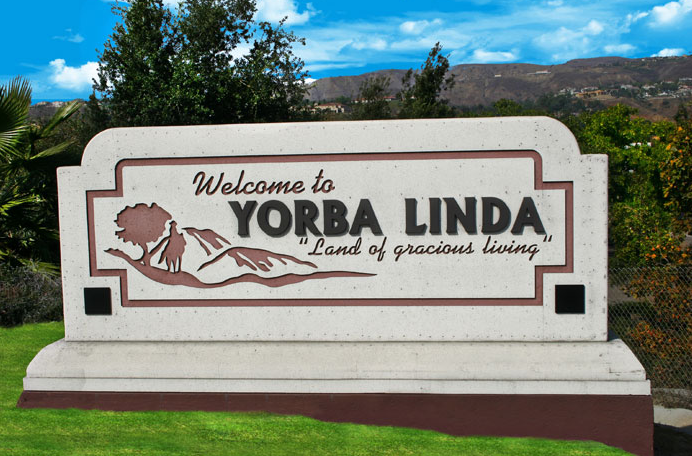 Consistently ranked as one of the top cities in the country to live, Yorba Linda is beautiful Orange County community. The over 68,000 people that call this city home enjoy incredible amenities, well planned residential neighborhoods, top ranked schools, and stunning recreational facilities. Its location 25 miles southeast of Los Angeles allow its residents easy access to all that the greater metropolitan area has to offer while offering a peaceful respite from the hustle and bustle of the city. 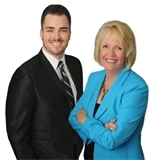 With some of the most beautiful and sought after real estate in the country, you will surely find your dream home in Yorba Linda, California. The beautiful natural setting of Yorba Linda makes it a recreational paradise for its residents. The Parks and Recreation Department maintains and operates 38 Parks and Facilities throughout the city. There are numerous neighborhood and community parks that have playgrounds, athletic courts and fields, open spaces, and more for residents to enjoy. There are also many speciality facilities, such as the Checkers Dog Park (5411 Eastside Circle), Los Palomas Tennis Park (20550 Paseo de las Palomas), Phillip S. Paxton Equestrian Center(18661 Buena Vista Avenue), and Travis Ranch Activity Center (5200 Vía De La Escuela), which offer beautiful facilities for particular recreational interests. Yorba Linda is covered in over 100 miles of trails that can be used for hiking, biking, and horseback riding. The Black Gold Golf Club (One Black Gold Drive) is a favorite golf course in Orange County. The Arthur Hills designed 18 hole course covers 6,756 yards of stunning natural landscape and rolling hills. Yorba Linda borders Chino Hills State Park (4721 Sapphire Road, Chino Hills). This incredible park allows residents to enjoy and explore nature and partake in a wide range of outdoor activities, including camping, horseback riding, geocaching, wildlife viewing, and so much more. 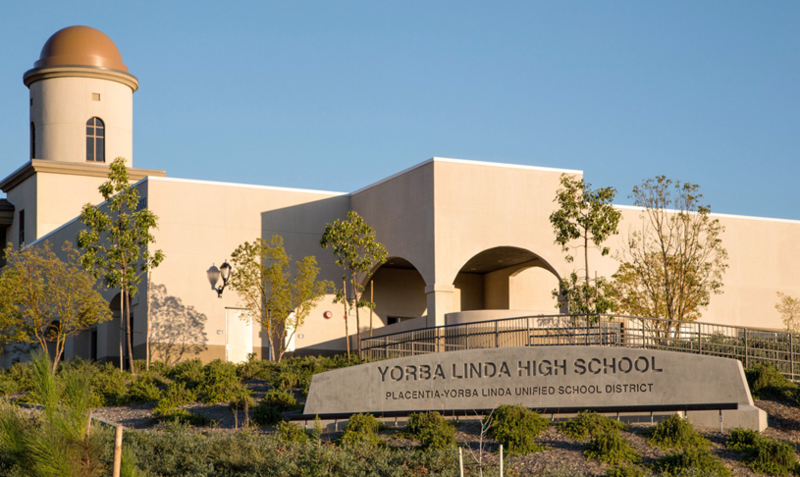 Yorba Linda students are educated through Placentia-Yorba Linda Unified School District. Serving the communities of Placentia, Yorba Linda, and parts of Anaheim, Brea, and Fullerton, this district contains numerous schools that have been designated California Distinguished Schools, National Blue Ribbon Schools, and many other state and national accolades. Many of the district’s schools are located right in Yorba Linda. Kindergarten through 5th grade students attend Bryant Ranch School (24695 Pso De Toronto), Fairmont Elementary (5241 Fairmont Boulevard), Glenknoll Elementary (6361 Glenknoll Drive), Lakeview Elementary (17510 Lakeview), Linda Vista Elementary (5600 South Ohio Street), Mabel Paine Elementary (4444 Plumosa Avenue), or Rose Drive Elementary (4700 Rose Drive). There is one kindergarten through 8th grade school Travis Ranch School (5200 Via de la Escuela) and one school, Yorba Linda Middle School (4777 Casa Loma Avenue), for students in 6th through 8th grades. Students in grades 9th through 12th attend Yorba Linda High School (19900 Bastanchury Road). There also is an independent study high school, La Entrada High School (Casa Loma Avenue), based in Yorba Linda for students looking for a nontraditional academic experience. Yorba Linda residents have access to the many world class medical facilities in the area. There are many family practice and urgent care clinics located right within the city, including MedPost Urgent Care Clinic (20635 Yorba Linda Boulevard). Placentia-Linda Hospital (1301 North Rose Drive, Placentia) offers comprehensive inpatient and outpatient care and 24 hour emergency services. Other comprehensive hospitals and excellent medical clinics are located in the neighboring city of Anaheim for residents to utilize as needed. It is easy for the population of Yorba Linda to travel throughout southern California and beyond. California State Route 90 traverses the majority of the city. The proximity of the California 91 Express Lanes, which runs through Riverside and Orange counties, allows commuting access to all of the major interstates located in the region. John Wayne Airport (18601 Airport Way, Santa Ana) is situated only 18 miles from the center of Yorba Linda.